The FABTECH 2016 Education Program promises to provide exceptional learning opportunities for metalforming- and fabricating-company employees at every level, from the plant floor to the executive suite. Technical sessions are presented by the Precision Metalforming Association (PMA), Fabricators & Manufacturers Association, SME and Chemical Coaters Association International. Among the topics covered: cutting, finishing, forming and fabricating; management and job-shop solutions; automation and robotics; stamping; and tube and pipe. And, the American Welding Society presents a comprehensive lineup of welding education, including the Resistance Welding School. 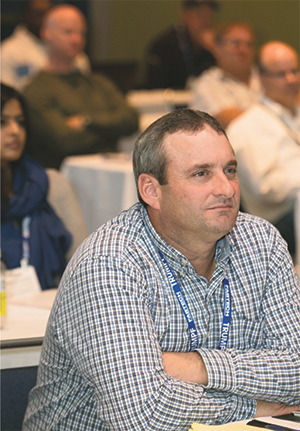 PMA’s technical sessions on state-of-the-art metalforming technology allow attendees to learn from leading industry experts, exchange best practices and explore new technologies. Here we present highlights from PMA’s metalforming sessions scheduled during FABTECH 2016. Precision spray control has proven to be an effective way to ensure uniform application of coatings such as oils, lubricants and waxes. It is achieved by turning electrically actuated spray nozzles on and off quickly to control flow rate. With precision spray control, flow rate from a single nozzle can be varied without changing pressure. This presentation will provide a comprehensive look at EPA/OSHA/NESHAP solvent regulations, emerging solvent-safety and performance information, market trends for solvent cleaning, and state-of-the-art equipment. This presentation addresses the role that blankholder forces play in the formability of advanced high-strength steel (AHSS). 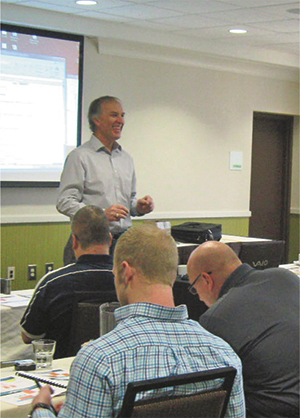 Attendees will learn the value of incorporating an oscillating blankholder force into their programmable profiles. The Irmco iTool is designed to perform stamping-lubricant performance tests based on Dr. Taylan Altan’s cup-draw research at The Ohio State University and EWI. With the iTool housed in a 300-ton servo press, stamping companies and material suppliers can test and verify lubricant performance with statistical accuracy. Important relationships exist between material properties, basic forming modes and die operations. Understanding these relationships increases one’s comprehension of the problem and the ability to identify the best solutions. This presentation offers a basic understanding of material properties and basic forming modes so that the user can identify and solve formability problems efficiently and effectively. This session will cover basic and advanced applications of sensors for die protection and automatic in-die part-quality measurement. Toolmakers have many options concerning tool-steel products and related treatments. Attendees will receive practical advice on how to make better informed choices and achieve a higher level of optimization of the tool-material variables that come into play with demanding applications. This presentation will show real-world examples of tooling issues and offer ways to address these issues by recognizing the root cause. The presentation also will discuss tooling alloys and their properties, highlighting how proper material selection can improve die life by addressing some of the failure mechanisms. In-die fastener-installation systems can improve productivity and quality while simultaneously increasing throughput and reducing work-in-process. A description of the individual elements of an in-die system and how they function together to form a complete system will be explained through graphics and animations. Also covered are typical and unique projects including the latest technologies associated with installation of microfasteners. Implementation of part measurement, die adjustment and part tracking can result not only in 100-percent verification of critical part features, but also in significantly increased machine utilization, accurate production, reduced scrap rates and more reliable die protection. Learn the practical methods to select, apply and integrate sensors and control systems in order to fulfill accuracy and quality requirements. This session introduces metalforming analysis, process engineering, and metalforming finite-element analysis techniques and tools. Topics covered include sheetmetal stamping and die basics, sheet and tube mechanical properties, strain analysis for prediction of formability, common failure modes of sheetmetal parts, circle-grid and thinning analysis and finite-element analysis of sheetmetal-stamping processes. This program covers die-protection strategy, control logic, sensor selection, installation and wiring. Learn the three most useful sensor types for in-die use, the five most common mistakes made by novice sensor users and the one specification that best relates to sensor longevity in a harsh environment. This presentation provides a methodical approach to solving complex problems associated with progressive dies. Several testing procedures, performed with the die in the press, are presented to assist in isolating and identifying the root cause of common problems. This presentation will discuss methods to make your press-maintenance activities lean by reducing costs, while at the same time increasing overall effectiveness. We will examine how to use existing press systems such as tonnage monitors, brake monitors, lubrication systems and die protection as effective tools to monitor overall press condition, and look at how electronic monitoring provides markers that trigger further mechanical inspection. Lubrinomics is the study of the economic activity and strategies that govern the production, distribution and consumption of metal-stamping lubricants. Learn how to develop processes for proper dilution and control of process lubricants, the different compositions available and how to best apply these to your specific operation. The costs associated with lubricants are numerous, i.e., application equipment, the lubricant itself, plant maintenance, safety and environmental issues. After a brief overview of the issues and problems related to the lubrication process, a new spraying technology will be introduced, along with case studies illustrating the cost savings stampers are experiencing. OSHA introduced 1910.147 regulations in the late-1980s, based on the document issued by ANSI/ASSE known as Z244.1. With the release of an updated Z244.1 in 2016, language for the control of hazardous energy has been updated to include current technology, and be forward-thinking in terms of how to utilize this technology for enhanced operator and machine efficiencies. The presentation will review the updated language in Z244.1 and provide examples on how it can apply in the production environment. In this session, participants will apply knowledge of core mechanical principles of stress and strain and properties of sheetmetal to identify sources of variation in stamping processes; correlate mechanical properties such as yield stress and elastic modulus to springback; recognize characteristics of dies and stamping processes on springback effects; identify methods to predict and address sheetmetal springback during design and engineering; and define reasonable expectations of springback and stamping-process repeatability. This presentation will cover simulation and method planning and the process steps to evaluate the feasibility of producing parts by hot stamping. Learn about modifying and optimizing the part based on simulation results. Also explained will be the common challenges to using the process, including part quality, output rate and process monitoring. This presentation will cover servo-press technology and return on investment, and provide an overview comparison of mechanical vs. servo-press technology. You’ll be shown the advantages of servo, and learn the benefits of using custom motion profiles including full stroke vs. pendulum stroke. Learn about the latest tendencies and trends in blanking advanced high-strength steels and aluminum. The process to obtain blanks made of these materials requires new and advanced technology. New hybrid blanking installations have been created by adding new levelers, servo-blanking presses, stackers and automation. Victor Esteban, Fagor Arrasate USA, Inc.
Due to increased stress when stamping high-strength steels, proactive measures against tool failures such as chipping and cracking are required. Matrix-type cold-work die steel, DCMX, has been developed to tackle these problems. DCMX provides a much higher toughness than does D2, and has superb machining efficiency and simple dimensional control in heattreatment. Kunio Namiki, Daido Steel Co., Ltd. Teams in stamping operations need to identify quality issues early and adjust quickly so that they can have zero defects shipped to the customer. This is readily accomplished through in-die process validation, electronic measurement and part traceability. Through real-world examples, this session will discuss how press shops are successfully implementing error proofing, preventing die crashes and implementing quick die changes.